As reported by the Wall Street Journal, IPS Worldwide, a freight audit and payment provider, contracted by Stanley Black & Decker filed for bankruptcy on January 25, 2019, leaving Black & Decker freight providers with $22 million in unpaid invoices. Black & Decker has since paid their carriers and will attempt to collect the $41 million owed to them by IPS Worldwide. Bankruptcy is an all too real risk in the transportation industry. 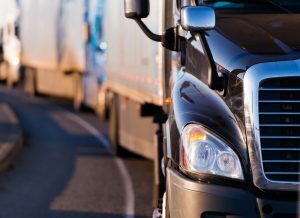 Non-recourse freight bill factoring provides credit protection to the carrier and gives them immediate cash upon confirmation of delivery, easing two main concerns of providers in the trucking industry, bad debt and cash flow. Riviera Finance pioneered the freight bill factoring industry in 1969 opening their first office in Redondo Beach, CA. Now with over 25 offices throughout the U.S. & Canada, they celebrate 50 years in the transportation industry. For more information on Riviera Finance’s non-recourse freight bill factoring services, contact your local office or complete a short form here.